This entry was posted on February 16, 2018 by Melanie Stern. This is probably the conversation I have the most frequently with marketing industry peers and clients. It is just a repetitive chat; the subject gets people animated, agitated, confused and eyes-bulging, vein-popping frustrated. Why? Because nobody listens. Here’s one note of caution for starters: If you think you know marketing because of a Google search or two, you don’t know squat! We’re in this conundrum together – because there isn’t one answer on how to do marketing. Instead, it’s essential that you understand the options and how they work together (or fail). 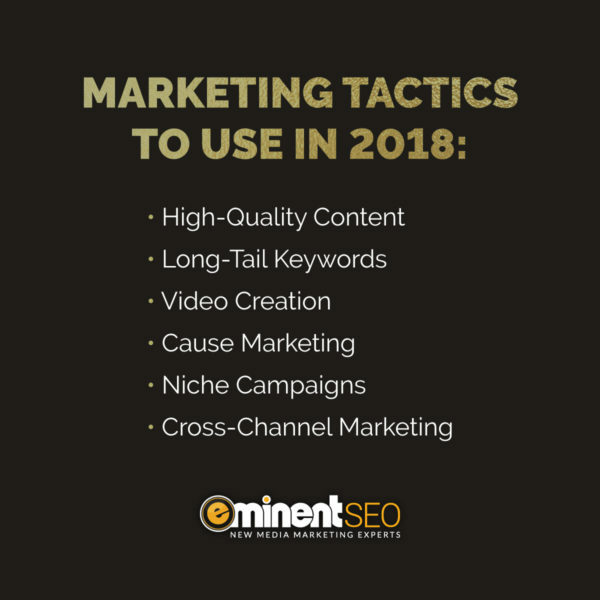 Even with the best industry gurus on your side, watching the SEO analysis month over month and staying current with the latest Google and Facebook algorithm shifts, there are no guarantees that your creative campaigns or media placements are going to work. Depressed yet? Here’s what I can tell you. Marketing, just like people, shifts. What works today can be gone with the wind of tomorrow’s latest and greatest trend. Yaaass. This business is not for the emotionally thin-skinned. In other words, grow a pair, do some due diligence and have fun. Recently, I had a client call me on the phone (old school, I know) to share his excitement. He’s got a handful of websites and just got a call from this guy in Chicago who swears he can deliver a branded TV commercial and media placement on 30 some odd stations. Wait for it… all for 1,000 bucks. You’re laughing, right? It gets better. This guy also says he will guarantee 300 leads, calls that will go directly to my client’s call center. Remember what I said earlier about there being no guarantees? Yeah. It applies here. So I called the guy in Chicago. I told him that if he wanted to swear to God that 300 leads are guaranteed, it was on him. I wouldn’t bet on that and I don’t think the Lord would appreciate being the brunt of a wager in futility. Ever since Google has been cracking down on those who try to outsmart it (some do so successfully, but it’s temporary) one such solution appears as a “miracle grow” for SEO rankings. Watch out for the companies that say they will boost your presence by using targeted keywords strategically placed and hidden within your fine print of terms and conditions or right-hand-side testimonial content, for example. Do really you think this is smarter than the peeps and tech that crawl websites for Google? Naw, probably not. Overconsumption comes by us honestly. We’re Americans. It’s what we do. While some people have an issue with taking in excessive amounts of food, alcohol, drugs, toxic relationships or shoes (yes, shoes), many business owners believe that a handful of websites to represent their product offerings are better than just one. Moreover, these duplicate (basically that’s what they are) sites house essentially the same content as one another. Not only is this so passé and ineffective; it’s naughty. Why the marketing tactics mentioned so far don’t work isn’t just about cheesing up our industry standards. Our core audience detests it. Millennials are now the largest group of consumers. If your business doesn’t understand this audience, you might as well hang it up right now. If you’d rather get a clue as to what you should be doing to get their appeal and more accolades for your product or service, keep reading. Millennials can be cruel. Maybe not cruel, but brutally honest. They don’t understand the merits of privacy (thank you MySpace, and now Twitter and Facebook) and believe that everything is subject to discussion, rant and opinion on the web. If your product or service doesn’t cut it, you’ll know, quickly. Here’s what to do to angle it all in your favor. Take a deep breath. Swallow that lump of insecurity in your throat. Be bold enough on social media to have a unique presence and put posts out there that speak to who you are and what you stand for. Take the heat that comes. Pay attention; it’s the most inexpensive way to get an understanding of what’s working or not…and it’s ideal for discovering gaping holes of opportunity. Although, social media is not the place for ongoing product pitches. It’s about having a personality and building a following. Leveraging the right social media platforms is essential to owning the millennial market. How you position your profiles is even more important. Make sure your content doesn’t talk down to them, as it needs to include them. Position this audience as instrumental in your success. They must be part of your conversation. If your brand strategy allows them to lead the conversation, that’s golden. Product and services aren’t flat surfaces (though many smart devices are pretty close). The world isn’t flat either; it’s full of dimension. Enter marketing and editorial content. What resonates with people today is a full-bodied experience with your product, service or brand. It taps on the emotion, the most powerful place your marketing can target. People may not remember what you said or did, but it’s how you made them feel that matters. The definition of an information junkie = millennial. From their childhood, web surfing was the only way to get the answers they needed. Ask a question of their parents, and “Google it” was the go-to response. As such, the information you put out must be accurate, relevant and thought-provoking, which gives them a reason to investigate further (they will) and respond. Long gone are the days where providing a free product offering would win over potential customers. Today’s consumers are cynical, and for good reason. With the onslaught of cyber theft and security breaches, people understand that if it says it’s free, there’s probably a cost. If your product or service doesn’t provide global impact by its very existence, then your company brand should. If it doesn’t – to a millennial – you don’t exist. Sales, web development and marketing firms will try to entice you into needing what they offer. With all the choices, it’s difficult to discern between necessity and fluff. Use this list of must-haves to position the marketing of your business well. Not every business can claim millennials as its target audience. True. However, early adapters of web use and the culture of instant gratification aren’t merely for the young. This is how every generation under 65 years of age consumes. Today, we are all millennials. Your marketing efforts need to align with our new, collective behavior. This entry was posted in Marketing Strategy, Sales & Pro Tips and tagged Marketing Budgets, Strategy Advice, Tips & Tricks.